By A. Wilson, engraved by J.G. Warnicke. Perhaps the most helpful way to describe such a large collection to prospective users is to discuss the policies that govern book selection in ornithology at Mann Library. Since the collection has developed over more than 130 years, acquisition policies, or at least emphases, have changed somewhat from time to time. However, the primary goal has always been to acquire all scientific publications of possible research or study interest to the ornithologist, professional or amateur. There are some categories of books that Mann Library acquires selectively rather than comprehensively. Juvenile titles are rarely bought, though the collection includes some historical items of interest because of the fame of the illustrator or author. Many, but not all, popular titles are purchased. These serve as aids to the amateur ornithologist in bird identification and studies of behavior. They increase the interest and competence of the amateur, whose sightings, counts, and reports are so important in support of the work of the professional. No attempt is made by Mann Library to acquire every printing or every language version of a title. If a reprinted edition contains new or revised information, it will usually be purchased. If an English-language edition is available, it will be chosen over one in a foreign language. A foreign language version that includes English summaries or bibliographies in English would be the next choice. Foreign language works that do not contain English will be acquired if they are substantial in content or are issued by a recognized authority such as an ornithological society or a university. Books on falconry, the hunting sport, are rarely bought today at Mann Library. However, the collection does include a number of older titles. 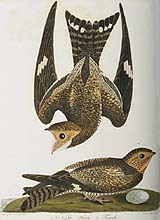 The Ornithology Library of the Laboratory of Ornithology at Sapsucker Woods holds a special collection of historical falconry books, the William D. Sargent Collection. The purchase of books concerned with the techniques of sound recording and photography of birds is left largely to the Lab of Ornithology. This is also true of books on taxidermy and the preparation of bird skins. When those subjects are included in a more general work, Mann Library is very likely to add the book to its collection. The subject of rehabilitation of injured birds, especially raptors, is covered by the Flower-Sprecher Veterinary Library of Cornells College of Veterinary Medicine, in support of the colleges Wildlife Rehabilitation Center. The Lab of Ornithology takes part in the work of the center, and the Ornithology Library acquires selected important titles in wildlife rehabilitation. Although Mann Library buys some titles in this area, primary coverage is left to the Veterinary Library. To sum up, Mann Library buys current ornithology publications extensively with the few modifications noted above. Almost every serious 20th-century publication in ornithology is likely to be found in this library. Exceptionally strong holdings of 19th-century literature support the rich 20th-century collection.